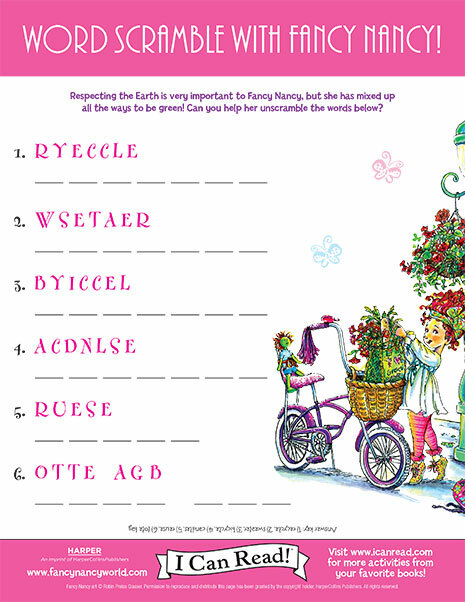 In Fancy Nancy: Every Day Is Earth Day, respecting the Earth is very important to Fancy Nancy. But Fancy Nancy has mixed up all the ways to be green! Can you help her unscramble the words?